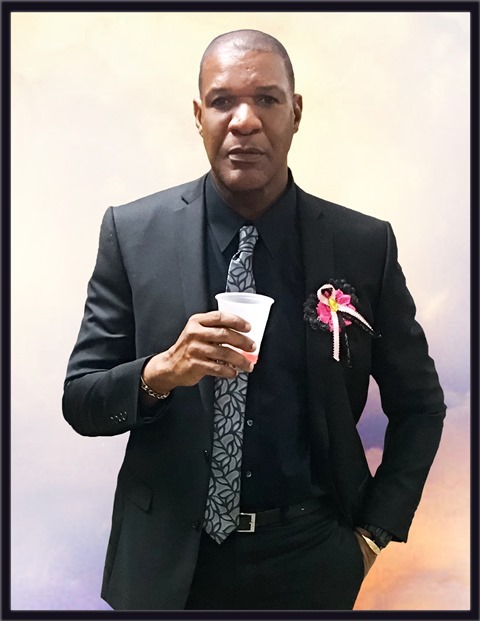 With 2 of his favourite sporting items, his boxing gloves and a cricket ball, veteran sports broadcaster, cricketer and former national boxer, Trevor Michael Thwaites, better known as ‘Big T’ and ‘Lion,’ was laid to rest on Monday at the Morne Jaloux Cemetery. Up until his death, Trevor Twaites was attached to the Government Information Service (GIS). Thwaites, who hailed from the community of Morne Jaloux, succumbed to a brief period of illness and died on 18 November 2017 at the General Hospital. He was 59 years old. Hundreds of people including family members, journalists, and friends all gathered at the Cathedral of the Immaculate Conception, to bid farewell. Her Excellency Governor General Dame Cécile La Grenade, Prime Minister Dr Keith Mitchell, other government officials, members of GIS, the presidents of the Grenada Cricket Association, Raphael Croney and the Boxing Association of Grenada, Bernie Wilson, and close relatives attended Thwaites’ service. Months after burying her mother Nadica McIntyre, Thwaites’ only daughter Nisha McIntyre tasked with reading his eulogy, paid tribute to her father’s legacy in the areas of sport, journalism, and as a family man. She said her father would always be remembered for his fighting spirit.